To fit: SAAB 9-3 MK 2 ALL MODELS FROM 2003 ONWARDS. United Kingdom ’ does not cover all of the. We are here to help. These are the areas we do NOT cover These wishbones fit the following cars. We hope you are happy with our products. 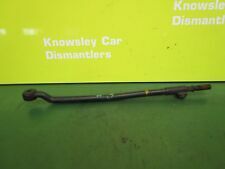 SAAB 9-5 (9600) FRONT ANTI ROLL BAR DROP LINK (PART NO: 5236823). SAAB part number is 5236823. SAAB 9-5 (9600) 1998 to 2010 model years. Alternative part number is 4686606. SAAB part numbers are 13237130 and 11094488. 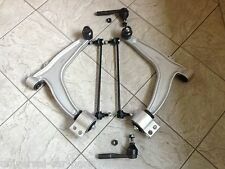 SAAB 9-3 (9440) FRONT ANTI ROLL BAR DROP LINK & 2X NUTS (PART NO'S: 13237130/11094488). SAAB 9-3 (9440) 2003 to 2012 model years. Supplied complete with two (x2) new genuine nuts. All parts are security marked, removal of this mark will invalidate your warranty. These parts are from a used vehicle may have scuffs and scratches. All parts supplied are taken from a used vehicle, may show signs of wear and tare. 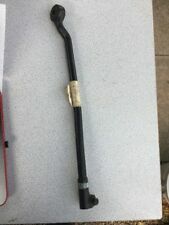 SAAB 9-3 (9440) FRONT ANTI ROLL BAR DROP LINK (PART NO: 13237130). SAAB part number is 13237130. SAAB 9-3 (9440) 2003 to 2012 model years. Alternative part number is 24417251. SAAB 9-3 (9440) FRONT ANTI ROLL BAR DROP LINK - PAIR (PART NO: 13237130). SAAB part number is 13237130. SAAB 9-3 (9440) 2003 to 2012 model years. Alternative part number is 24417251. SAAB part numbers are 13237130 and 11094488. SAAB 9-3 (9440) FRONT ANTI ROLL BAR DROP LINKS & 4X NUTS (PART NO'S: 13237130/11094488). SAAB 9-3 (9440) 2003 to 2012 model years. Supplied complete with two (x4) new genuine nuts.